Wheel Alignment, sometimes referred to as tracking and is a part of standard car maintenance. Wheel alignment consists of adjusting the angles of the wheels so that they are set to the car maker’s specification, which will optimise your tire wear and fuel economy. This will also make certain your car is travelling in a straight line and not pulling to one side or the other. You may not notice these defects initially but after using for a few days or driving a few miles it can cause uneven tyre wear and cause pulling or drifting to the left or right. The tyre wear caused by poor Wheel Alignment leads to frequently having to replace your tyres and adding to running cost of your car. A vehicle that is pulling often causes fatigue in the driver at earlier stages of a journey than you can anticipate, adding to the risk you would normally expect while driving the car any distance. 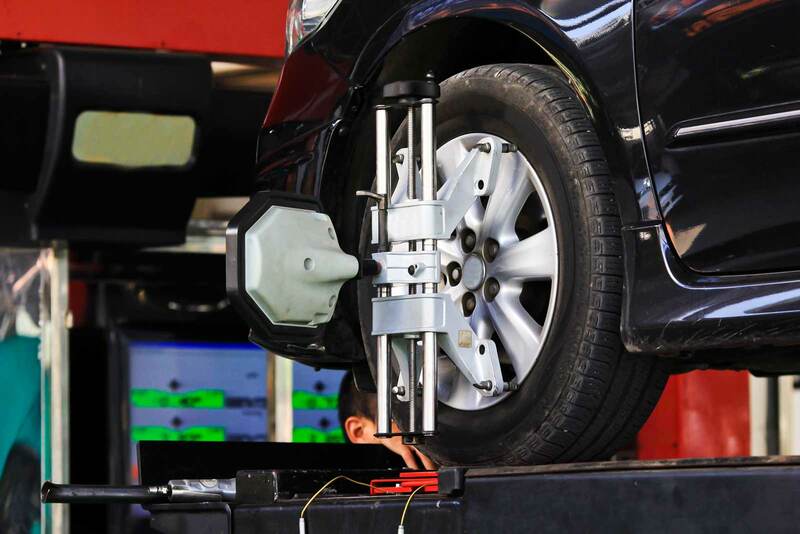 Wheel Alignment affects your tyres in a similar fashion that you would wear out your shoes. When replacing your shoes, how often have you noticed that they’re more worn at the heel or on the inside or outside edge, so your tyres become unevenly worn if not within allowed specifications. Braking distance, ride quality, and even fuel economy are all affected by the correct Wheel Alignment and tyre inflation. Email us at info@jcmotorengineers.co.uk, Call us on 0141 763 0222 or fill in our online contact form for more information or to book your car in for the best services Glasgow wide.